MIAMI, FL, UNITED STATES, February 13, 2019 /EINPresswire.com/ -- UndergroundStocks.com, an elite wall street independent small cap media group with a history of bringing lucrative opportunities, updates on Golden Developing Solutions, Inc. (OTC PINK: DVLP). 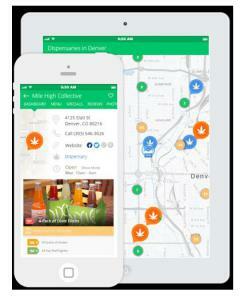 WheresCBD is a CBD consumer portal, this portal could achieve powerful success. According to a new estimate from cannabis industry analysts at the Brightfield Group, the hemp-CBD market alone could hit $22 billion by 2022. “WheresCBD” portal will include the full spectrum of CBD products, including Hemp Oil, CBD for beauty, Vapes, CBD for pets, tinctures, gummies, and all other current formulations on the market. The portal will be a truly comprehensive resource for CBD products, including location services, price comparisons, product comparisons, and an extensive list of additional services to empower consumers and distributors. The portal is set to revolutionize the CBD world. The Company has a history of developing unique portals for CBD consumers, they already created this major portal “WheresWeed”2, which is on pace to drive $2.5M in sales for 2019. 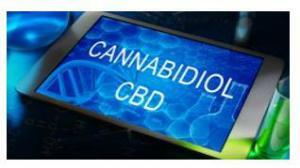 Cannabis companies extracting CBD oil Amphenol Corporation (APH), Aurora Cannabis Inc. (ACB), Canopy Growth Corporation (WEED.TO), CV Sciences, Inc. (CVSI) and now joining the CBD extraction party is Golden Developing Solutions, Inc. (DVLP). 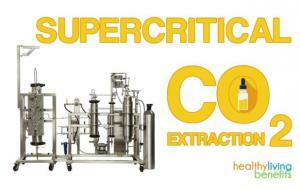 The company (DVLP), announced significant progress toward the establishment of its new high-capacity CBD extraction and production facility in Colorado, including an approaching equipment order for a best-in-class supercritical CO2 extraction system (rather than an ethanol-based system) to drive the highest purity levels in end production. Management expects the facility to be fully operational by Summer 2019. This undervalued Cannabis stock should be in everyone’s watchlist. DVLP’s current share structure is the following: AS 775,000,000 million, OS 543,842,571 million. The market cap at the time of writing was $9,201,816. DVLP is one of those thinly traded stocks that could explode on low volume and once this cheetah takes off there’s no stopping it.